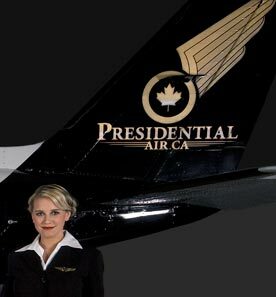 "Now Everyone Can Fly First Class"
Flying with Presidential Air is a cost-effective and stress-free way to travel. Imagine the convenience of departing from your regional airport, where you can arrive a mere five minutes before your flight. Now travellers can enjoy first class service at an economy price. Fly whenever you want, wherever you want. We are here 24 hours a day, 7 days a week, 365 days a year.